The Color Purple is the Tony Award-winning musical based on Alice Walker’s great American novel. Alice Walker’s Pulitzer Prize-winning triumph bolts joyously to life with soaring music and unforgettable characters. 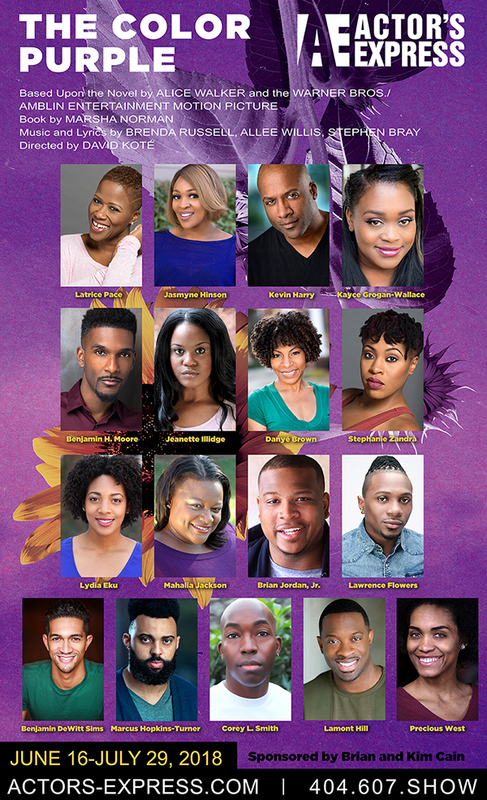 Celebrating the very best of the human spirit, The Color Purple tells the uplifting story of Celie, a woman who struggles through adversity to find strength, love and the power of her own voice. The production runs June 16 – July 29, 2018. Tickets may be purchased online at actors-express.com or by calling 404-607- 7469.